Wolfgang Franz Otto Blass was born in 1934 in Germany. After Wolf ran away from school, his parents handed him an ultimatum, either start a 3-year winemaking apprenticeship or get back to class -- and so began a journey that changed the winemaking world. After studying Champagne techniques in France in 1957, Wolf became the youngest person ever to graduate with a Master's in Oenology (Wine Science) from Veitschoechheim-Wuerzberg. In 1959, he moved to England to study the art of blending before moving to the Barossa Valley in 1961, deciding against a move to Venezuela which had started a revolt against its government. 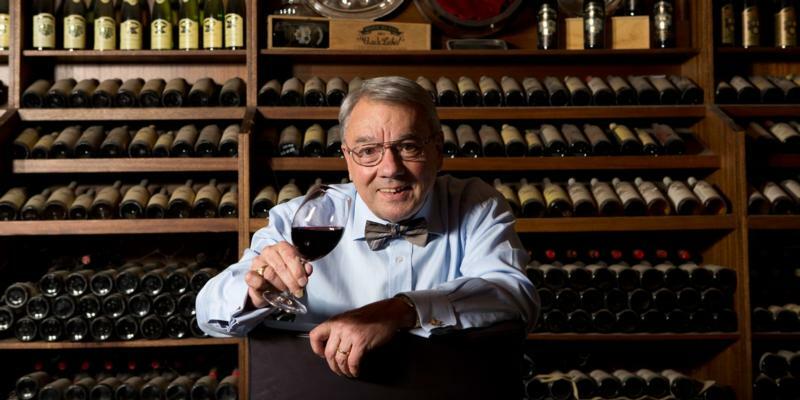 A mere five years later, in 1966, he established Wolf Blass Wines. Wolf began working with his first winemaker, John Glaetzer, in 1970, and within a year John followed Wolf to his new Bilyara winery. In 1973, Wolf really hit his straps by making the first Wolf Blass Black Label. Black Label would go onto win the 1974 Jimmy Watson Trophy, an accolade that is still considered Australia's most prestigious and sought after wine award. This victory helped provide the impetus to start exporting to the world and to establish John Glaetzer in the role of Senior Winemaker. John would go on to become one of the most proficient award winning winemakers Australia has ever seen. And as if one wasn't enough, Wolf Blass Wines went onto win two more Jimmy Watson Trophies in 1975 and 1976, followed by a record fourth Jimmy Watson win in 1999. Wine Spectator 91"This is round, with a real silkiness to the texture, offering subtle layers of pear, lemon curd and hints of white pepper that fold over themselves as the finish lingers. Drink now through 2012. 900 cases imported." Wine Spectator 90"Aromatic with red berry and red pepper character, tangy with acidity but nicely polished in the mouth, finishing with a refreshing balance. Drink now through 2009. 500 cases imported. –HS"